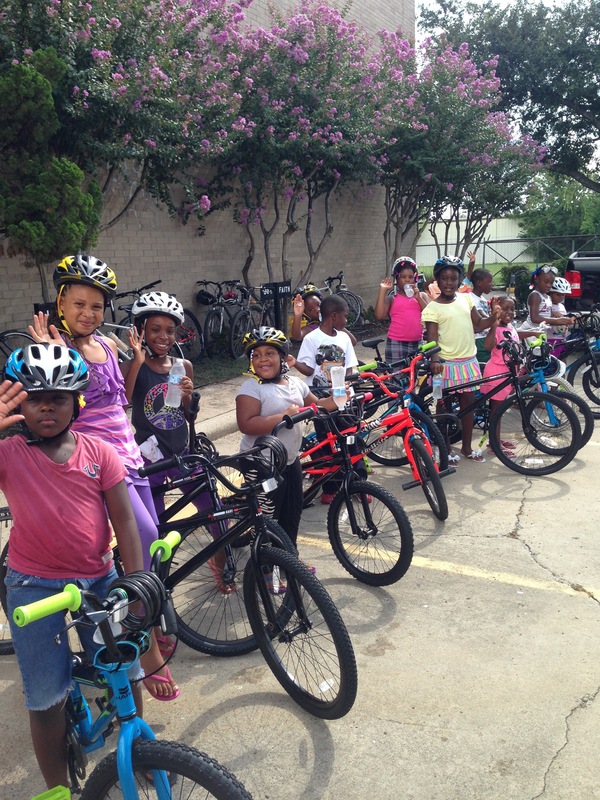 Kids and bicycles are meant to go together, kind of like hot summer days and swimming pools. I have fond memories of the bikes I owned when I was a kid. I learned to ride a two-wheel bike when I lived on Globe Street in San Antonio. Having a bike opened up a whole new world of adventure for me. For the first time I could explore the world beyond my neighborhood and still be home in time for supper. I could not have asked for anything better than that — for the freedom and the capability to go farther than I had ever been before. This morning, after Kingsland’s first early morning prayer vigil (which was a wonderful experience), I met the CityGates men’s group at Rudy’s for breakfast. I love these guys and their passion for serving. Every Christmas the CityGates guys assemble more than 250 bikes for local kids. 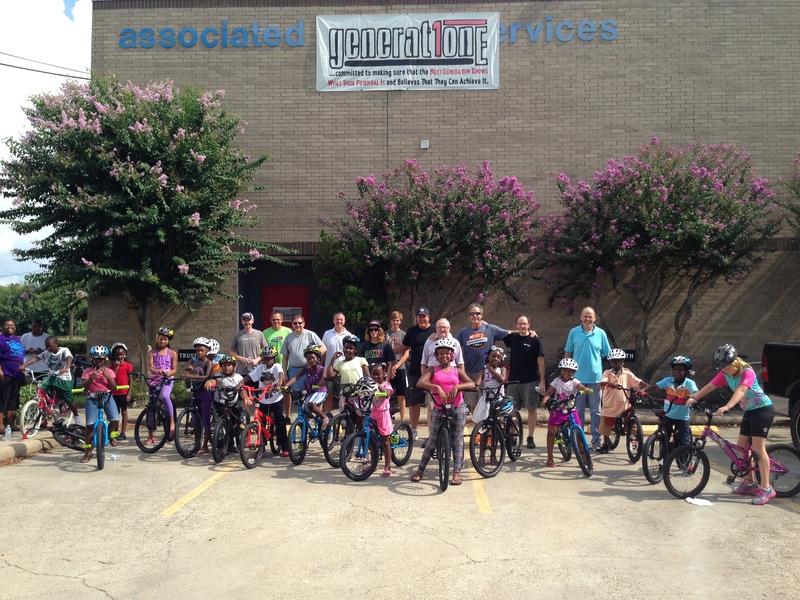 I knew that they would be the perfect group to recruit to assemble bikes for students at Generation One Academy in Houston’s Third Ward — all at-risk kids from low-income homes. Our goal is to give a bike to each kid between now and next summer. After breakfast, we loaded fifteen bikes-in-their-boxes into our vehicles and headed downtown. When we arrived at GenOne, the kids helped us offload the boxes and other gear. They each claimed a box and eagerly waited to get started. My friend Jay Jackson ordered the bikes for us from Haro and did all of the shopping for helmets and pumps and other gear. Another guest secured tool kits for each of the kids. 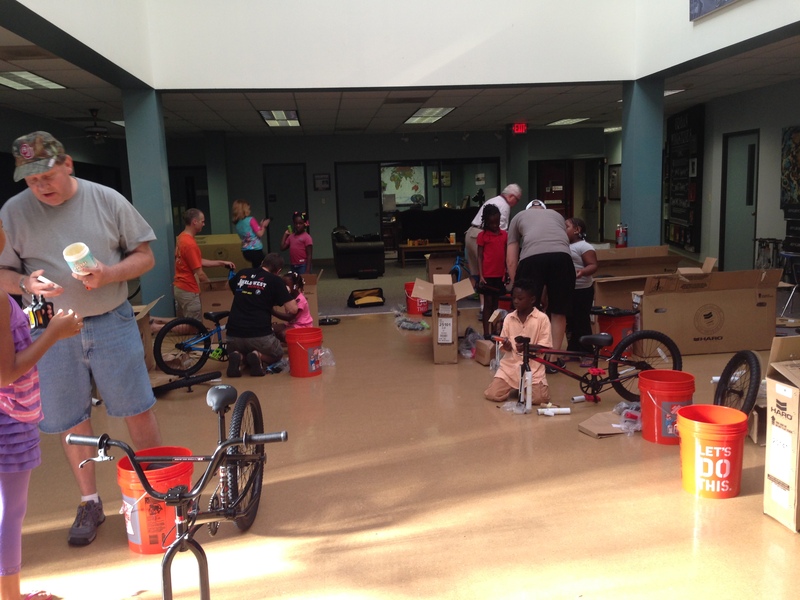 We spent a couple of hours of one-on-one time helping each kid to assemble their bike. Our first order of business after assembling the bikes was to give a quick safety clinic, something very important since these kids live in a busy urban area with lots of traffic. 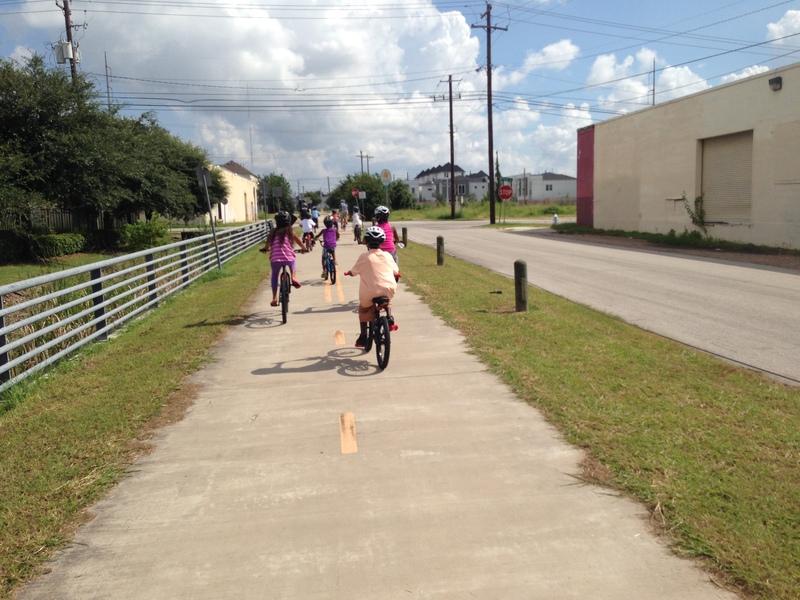 And then, the best part of all — taking the kids on their first ride on one of the downtown “rails-to-trails” trail. The kids were so excited that it was a bit like herding cats down the trail. The guys talked to the kids about riding safely as we cycled across streets and major intersections. We had a great time and rode 4.5 miles before returning to GenOne to eat lunch together. The kids and their parents were so happy to receive the bikes. These bikes will offer new opportunities for the kids to learn important lessons about responsibility but also about life. With so many things keeping these kids off-balance, we hope that the lessons they learn from something as simple as riding a bike will seep into their hearts and somehow remind them to keep moving forward. One of my favorite bicycle quotes is from Susan Vreeland’s book entitled Clara and Mr. Tiffany. It reminds me of why having a bike is a good thing, especially for kids: “You know, bicycling isn’t just a matter of balance,” I said. “it’s a matter of faith. You can keep upright only by moving forward. You have to have your eyes on the goal, not the ground. I’m going to call that the Bicyclist’s Philosophy of Life.” All things considered, that’s not a bad philosophy at all. Thank you, CityGates, for loving and serving the kids at Generation One. Thank you Kingsland!! Awesome day! We appreciate our partnership so much. Thanks, Mike. We enjoyed our time with you and the kids.